Hello Everyone. This is Anumandla Harikrishna working as an SAP EAM Consultant. This blog is a continuation for my previous blog. 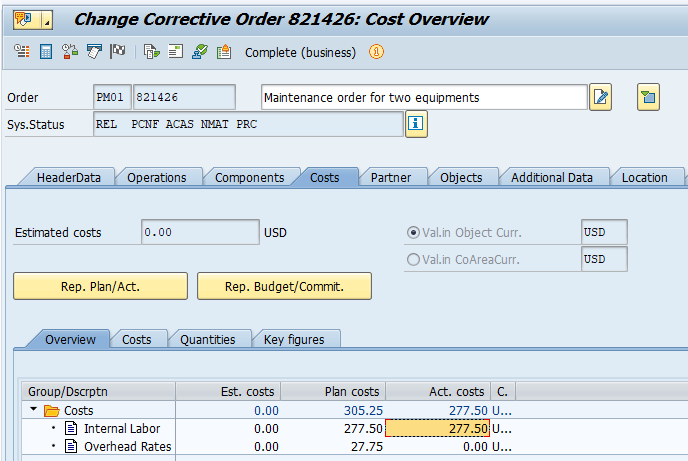 For more information about my first blog, please go through the link https://blogs.sap.com/2017/08/29/operation-level-costing-part-1/. 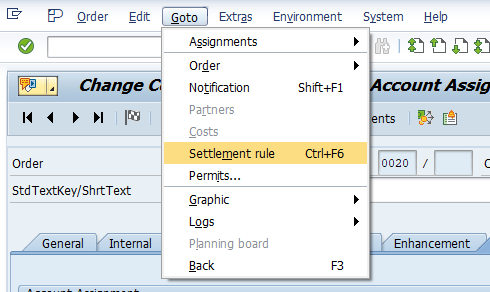 In this blog am going to walk through how settlement of work order can have its impact by activating operation level costing. 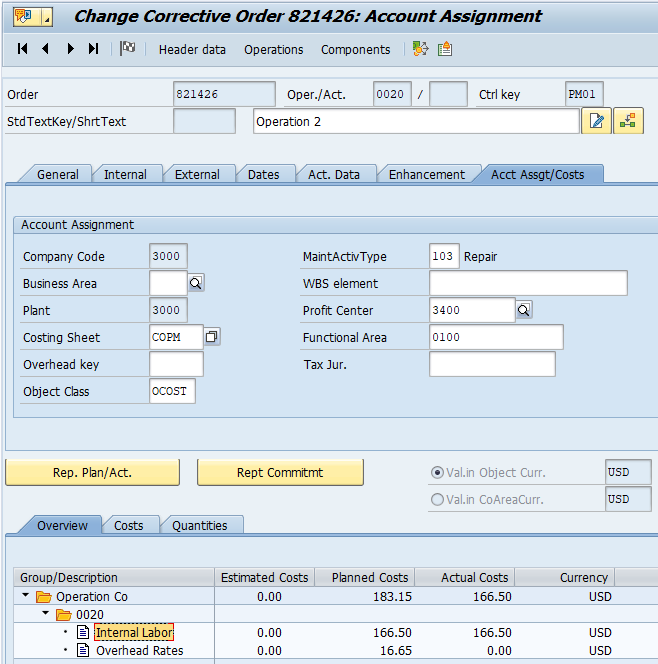 Typically, maintenance order costs are calculated and settled at the Header level. 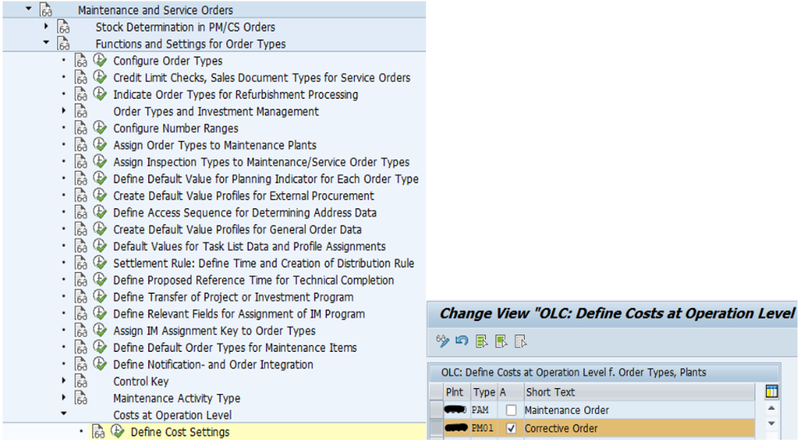 By using OLC, this feature can be possible at the operation level. 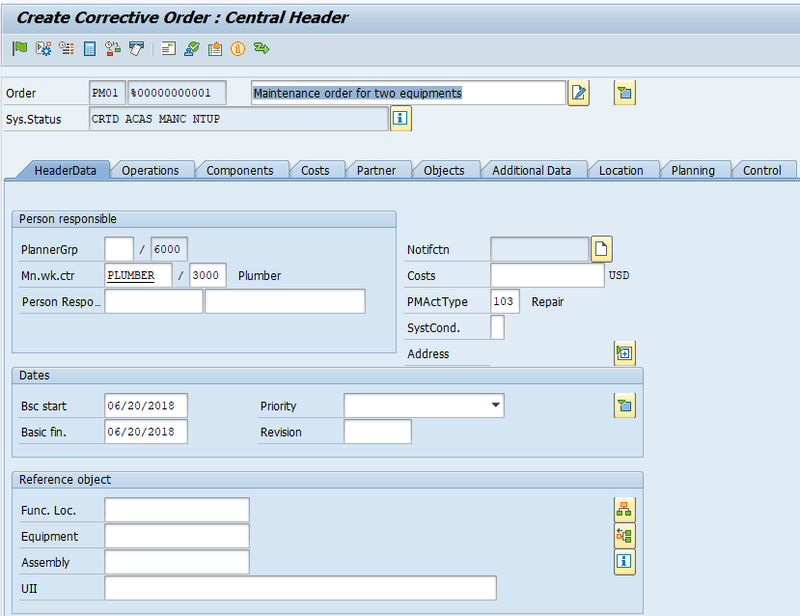 It means that, multiple technical objects with different account assignments within one maintenance order now can be settled at the operation level for each of the technical objects. Now let us create a maintenance order with two equipment’s. These equipment’s are tied to different cost centers. 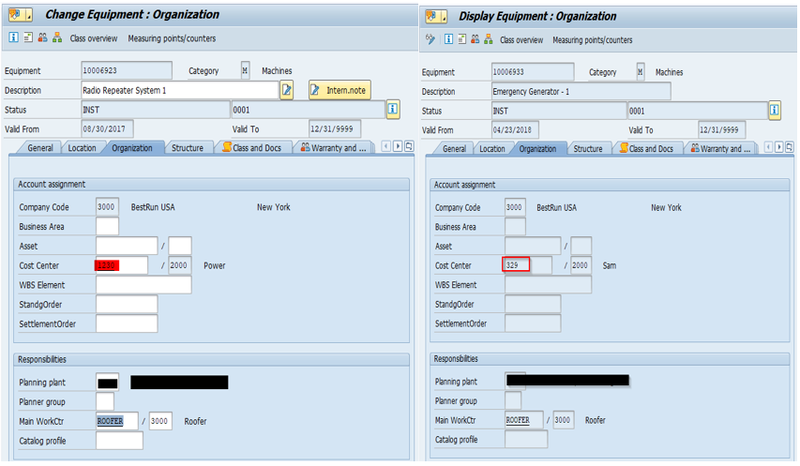 Note the cost center generated in the settlement rule is of equipment 2. 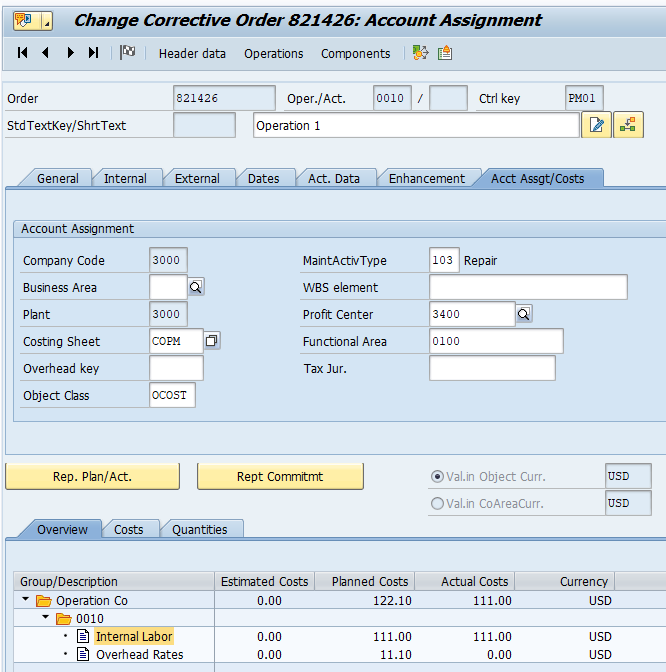 However, the total cost of the individual operations are summed up and can be viewed at the Header level costs.